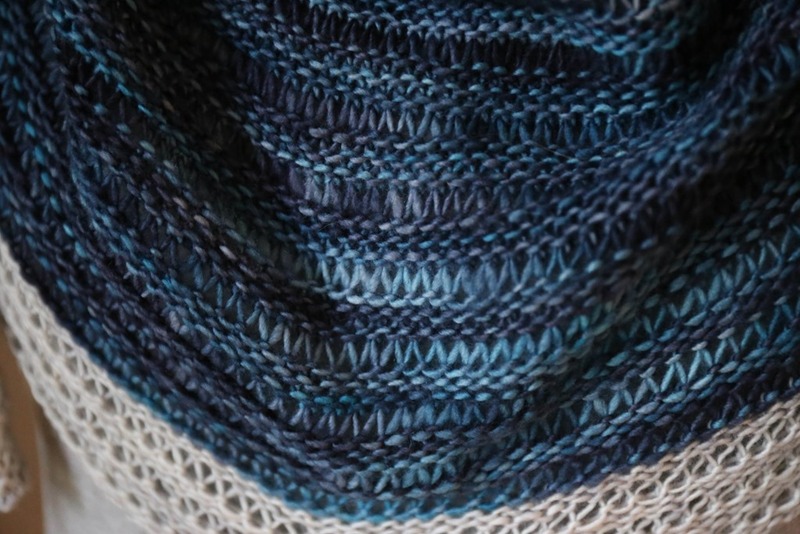 Recently, I was sent the new Clara yarn by Manos del Uruguay to review. I wanted to knit a shawl but I wasn’t sure which one to choose. Shannon’s Laylow fit the bill perfectly and used most of the skein (I have about 10grams left). At Knit City recently here in Vancouver, I saw a lovely version on @stashandknit. 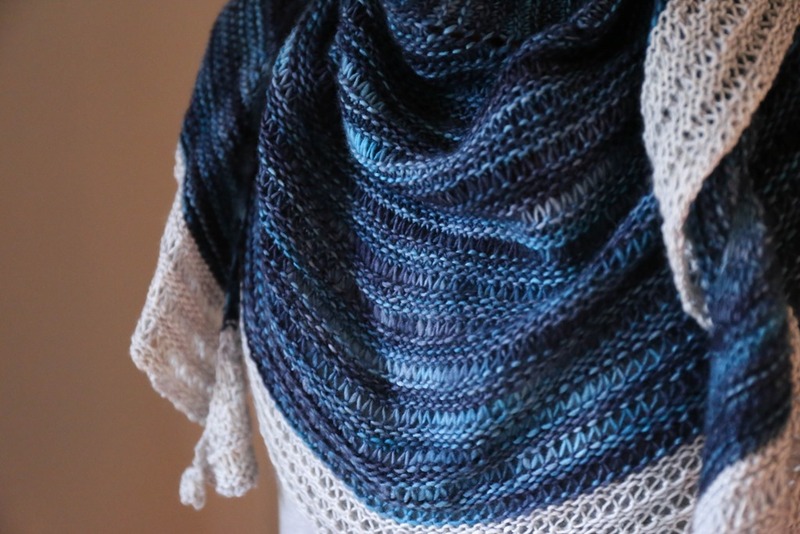 Sarah’s version was knit in Madelinetosh Tosh Merino Light and it was gorgeous. And I really wanted to knit a version as well. With the dropped stitches, I decided to go up needle sizes since I am a semi-tight/on gauge knitter and I thought it would be nice to have a looser, drapier fabric. I love the results. Since blue is a staple in my everyday wardrobe, this is going to be worn a lot! About the Manos del Uruguay yarn. 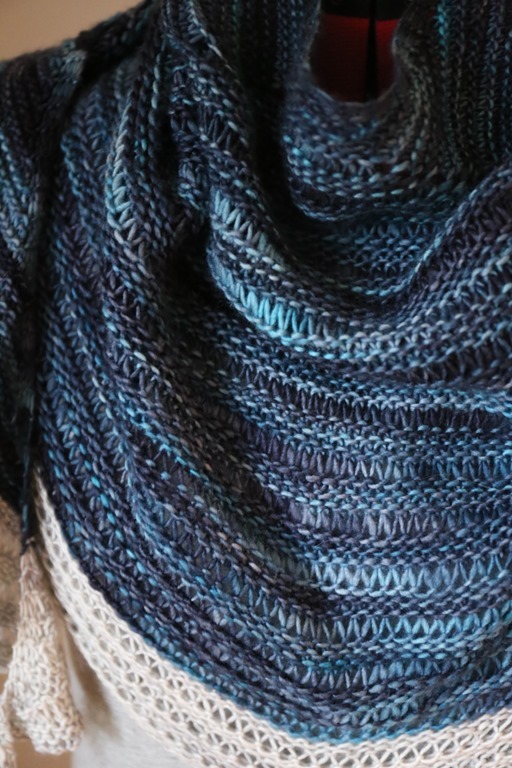 The new Clara yarn [linked above] is lovely to work with – the colourway that I chose immediately stood out to me due to the tonal blues and teals in it. I love Manos yarn because of their story and the fact that they are a non-profit organization. I’m not sure many people know about their mission and idealogy but if you’re interested in learning more, I would highly encourage you to head over to their website and have a look. 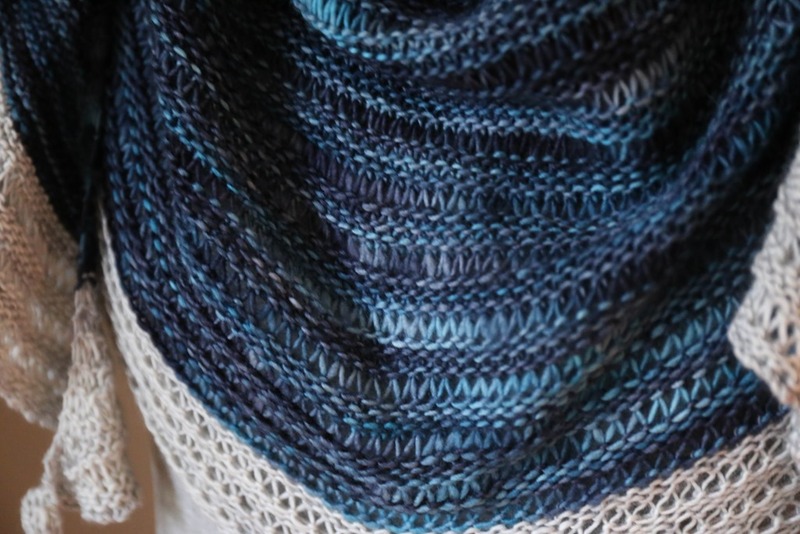 As a singles, Merino and hand-dyed yarn, the Clara yarn was really lovely to work with and the resulting shawl really sings. It has lovely drape, as a loosely knit singles yarn generally does. It washed beautifully and blocked easily. It wasn’t over twisted or too low in twist that it was falling apart. I can honestly say it was just perfect. I needed a sharper needle (used my Knitters’ Pride Cubics) as I found I was splitting it with my dull, wooden needle. For the border, I used some stash yarn left over from my Sunlit Shawl. It was a good match. 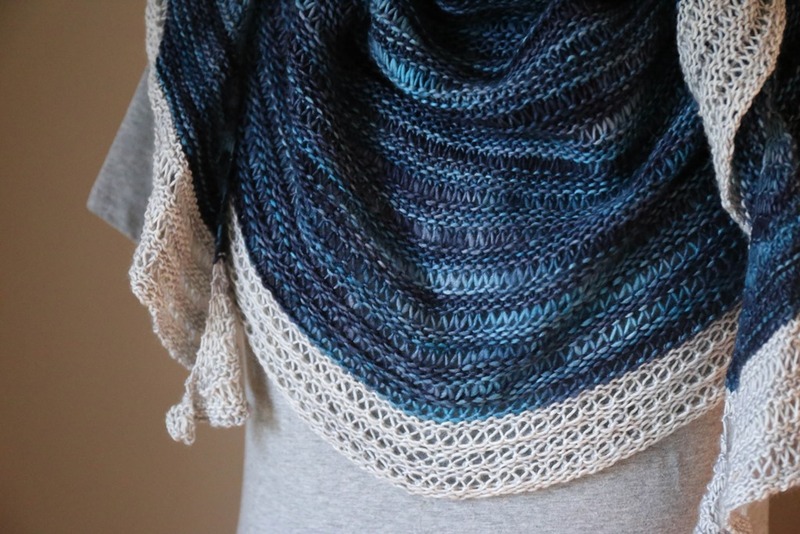 I just love the look of the drop stitches in this pattern – so lovely! Thank you to Stitch Craft Marketing and Manos del Uruguay for giving me the chance to review the new Clara yarn. It was really lovely to work with and I highly recommend it if you are looking for a singles yarn for your project. Oh, lovely! I love Manos yarn and that looks awesome. I like all the shade variation in the color. Wow! So beautiful! I absolutely love the pattern and yarn color combination.